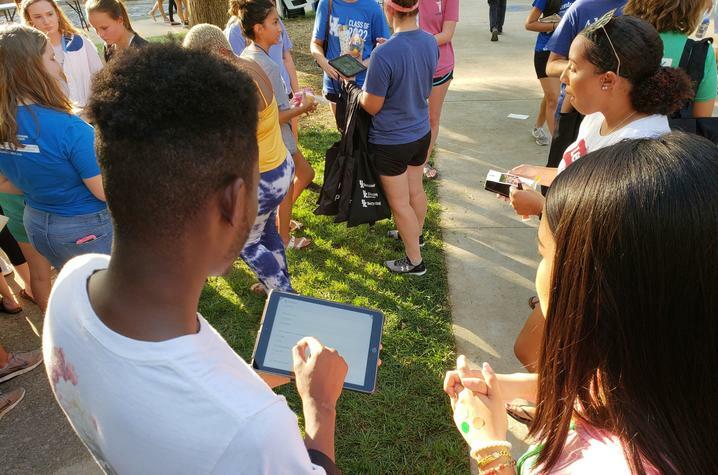 LEXINGTON, Ky. (Sept. 12, 2018) — University of Kentucky Sustainability, Dining and Recycling are teaming up to make a difference on campus by joining the global conversation on plastic use. Together they have created a campaign called UK POPs (Passes On Plastic). The campaign's goal is to reduce the impacts of single-use plastic items by encouraging reuse and new habits on and around campus. 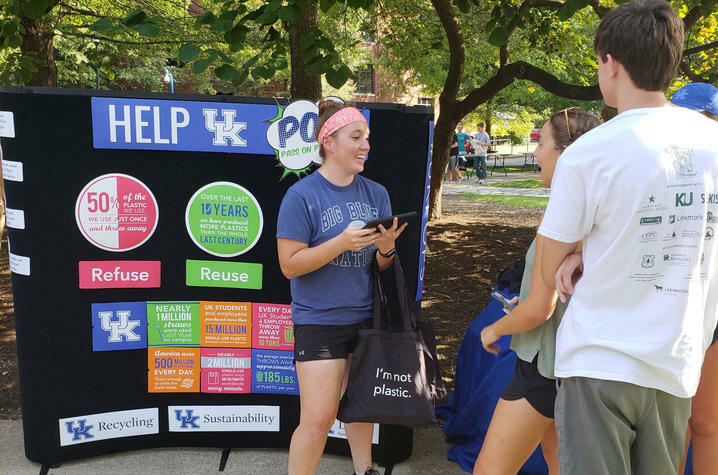 "Overall I hope this campaign will bring the conversation about rethinking single-use plastic items to campus in a way that engages and empowers our students," said Shane Tedder, of UK Sustainability. UK POPs plans to hand out 2,500 sets of reusable cotton bags, aluminum water bottles and stainless-steel straws by the end of September. Students must pledge to help UK reduce plastic pollution to receive the items. Attached to the pledge is a survey which collects information on existing habits relative to reusable items. A follow-up survey will be sent one month after the items are distributed. The information gathered through the campaign will be part of an undergraduate research project set to explore which item helped reduce the most plastic usage. So far over 600 individuals have taken the pledge. Joanna Ashford, UK recycling coordinator, hopes UK POPs will be an eye-opening experience. "I would love for students to have a better understanding of how they have an impact by using less and recycling more. Their everyday decisions have an effect on waste reduction and consumption"
In the 2017-18 school year, more than 15 million single use plastic beverage containers and nearly one million straws were used on campus. For more information about UK POPs go to www.uky.edu/sustainability/ukpops or visit the hashtags #UKPOPs and #ImNotPlasitc.